In case you didn't know, here's your last minute reminder that Mothers Day is this Sunday! Don't fret, there's still plenty of time to pick the perfect present. And what woman doesn't love receiving a good bunch of flowers? I know the women in my life (and myself,) all love being surprised with some fresh blooms - it might be predictable - but flowers don't always have to be the same old, same old. Say hi to Prestige Flowers - the answer to your bloom blues. 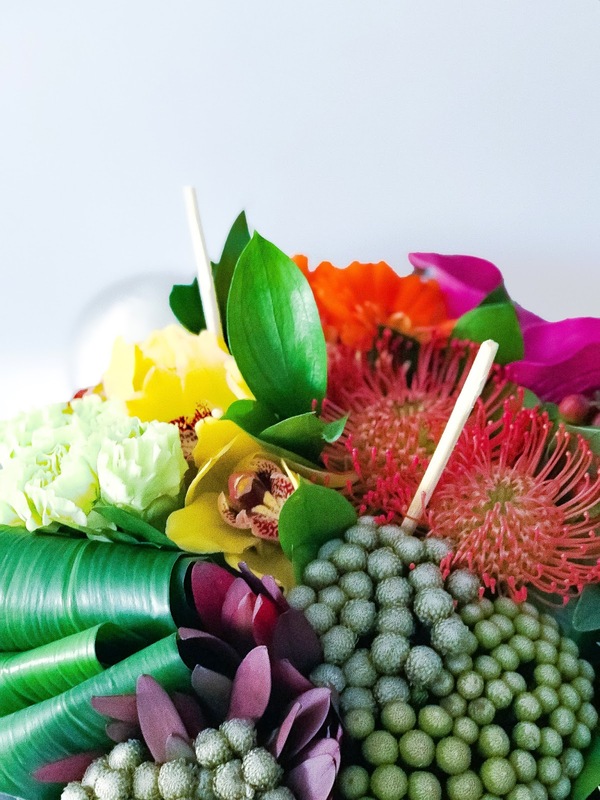 I opted for the 'Exotic Chic,' hat box bouquet - which is one of their luxury arrangements in the higher price brackets for flowers if you really want to go all out. If you haven't got a luxury budget, don't worry - your mum will still love the gorgeous standard arrangements starting from only £20. My blooms arrived very quickly with my local postie, presented in a black cardboard box with the Prestige logo - the box it's self was wrapped in a blanket of bubble wrap for ultra protection. The flowers were already soaked for me in their 'central sponge,' at the base of the box. The blooms arrived safely in one piece with no damage to any flowers or the display box! You can check out the beautiful range of Mothers Day bouquets from Prestige Flowers here.